Gail Gerlach prior to taking the stand Wednesday in his own defense. As the controversial manslaughter trial of Gail Gerlach nears its end, the Spokane homeowner took the stand in his own defense this morning, describing in detail his knowledge of firearms, his recollection of the theft of his SUV last March and his specific thoughts as he fired a fatal shot. Gerlach spent nearly two hours on the witness stand, explaining how he typically prepares for work and handles his personal firearm. He described his shock at watching 25-year-old Brendon Kaluza-Graham pull away in his SUV and the fear he experienced during those moments. In both defense questioning and cross-examination, Gerlach testified he saw Kaluza-Graham turn back at him and raise his arm with what he believed to be a pistol. "I thought, 'This is it,'" Gerlach says. "I reacted to what I saw." Gerlach, 57, described drawing his handgun from his hip holster, cocking the weapon and firing one shot through the back window of the vehicle. The shot struck Kaluza-Graham in the back of the head and killed him instantly. Investigators did not recover any weapon from Kaluza-Graham and believe he was not armed. 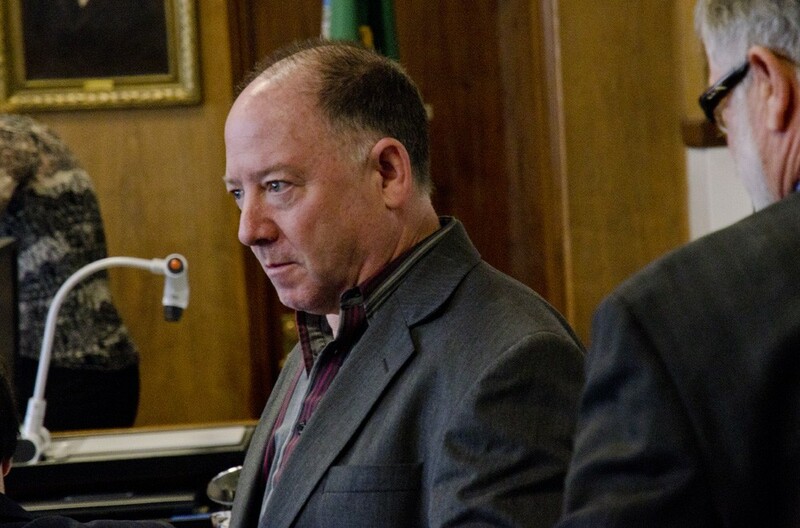 Gerlach also described his statements to investigators and his previous knowledge of self-defense law, which in Washington state hangs heavily on the shooter's perception of danger. "If I could have avoided it, I would have," Gerlach said. "It's a sad event." The judge will read legal instructions to the jury this afternoon before allowing both the prosecution and defense to present their closing arguments.